Deanston is a Distillery in the village of the same name right in the middle of Scotland. However, there is another Deanston which is surrounded by rough highlands. This less-known Deanston is situated right in the centre of the tropical island of Sri Lanka, not far from Kandy. 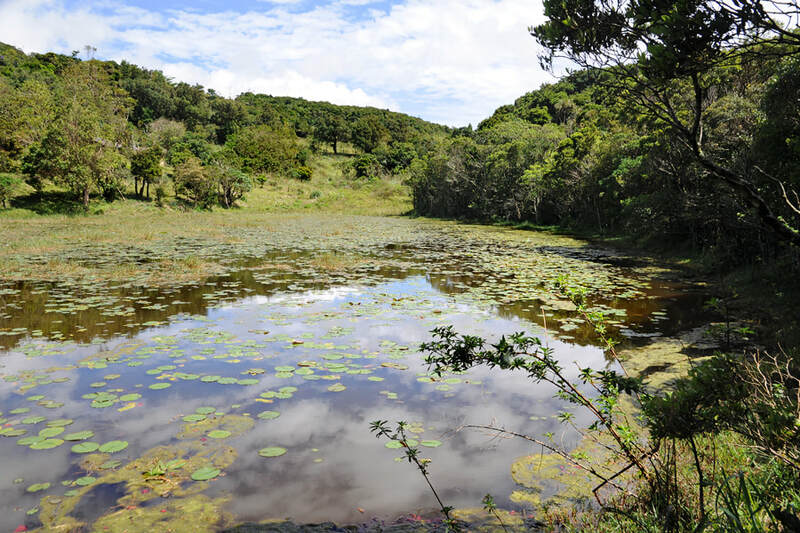 Nonetheless, Deanston in Knuckles Range is still a charming hiking destination off the beaten path. By the way, there is not only a Deanston in Sri Lanka, many hillcountry location bear British toponyms. Sri Lanka’s Deanston is the location of a Forest Department Conservation Centre, also known as Knuckles Information Centre. Only few foreign tourists have found their way to Deanston until now. Some travellers cross it on their way to Corbett’s Gap and Meemure, which is Sri Lanka’s best trekking area. However, Deanston is definitely worth a stop. 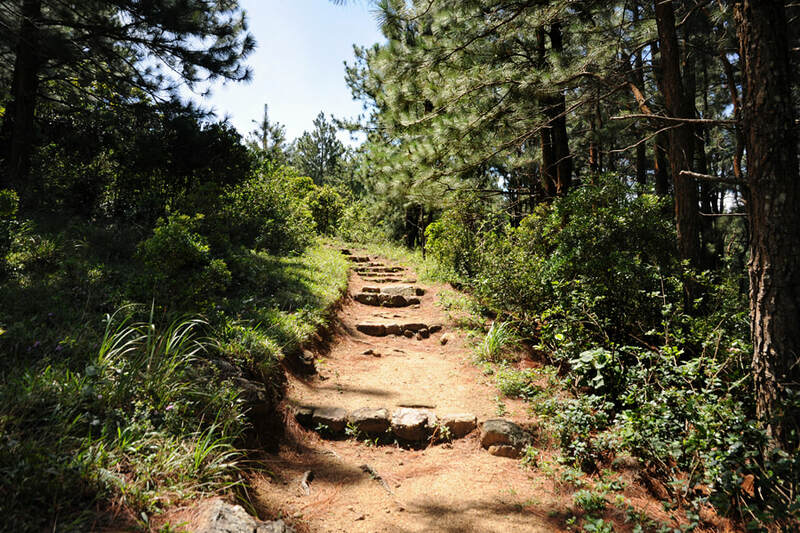 It’s the starting point for a hike to a place called Mini World’s End, which is a magnificent vantage point in Knuckles Range in the northeast of Sri Lanka’s highlands. But there is good news for travellers who don’t dare to spend a lot of time for exhausting trekking in this area. At Deanston, you can reach all places of interest within half an hour and completely without any elaborate trekking equipment. Hikers will not get lost on their way from Deanston to this spectaculat viewpoint, as there’s only one path (crossing one fence by a ladder). 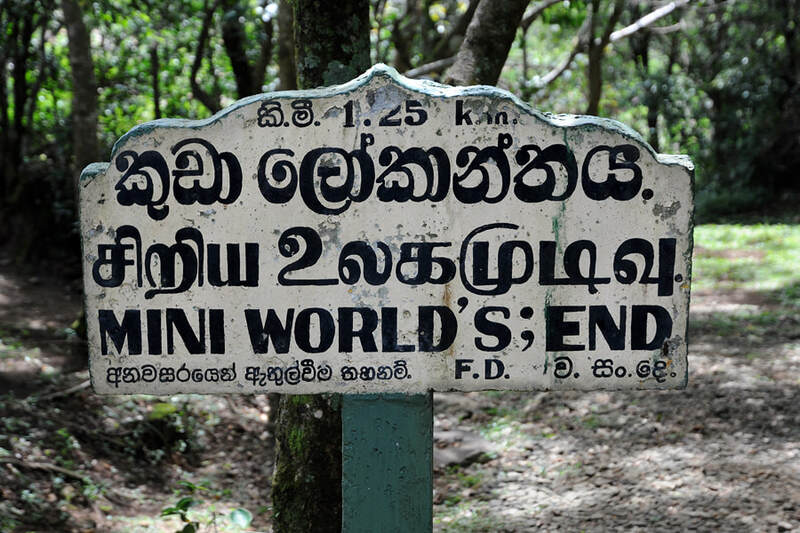 A signboard at the road close to the information centre says: Mini World’s End is in only 1.1 km distance. However, the round trip will be a hike of 3 km altogether, managable even for those whose favourite holiday activity is not yet hiking. Try this walk. You will not regret it. The view at Mini World’s End is breathtaking. The name “Mini World’s End” might be misleading for some first-time Sri Lanka travellers, as “Little World’s End” is the name of a quite famous panoramic viewpoint at Horton Plains. But that “Little Worls’s End” is in the very south of the hillcountry, just as it’s brother “Big World’s End”. Both of them are within day-trip distance from Nuwara Eliya and require a hike of about 4 hours in Horton Plains National Park. Don’t confuse those two ends of the world with “Mini World’s End”, they are 120 km away from Deanston, not 1.1 km. The World’s End at Deanston – the “Mini”, not the “Little” - can be reached more easily from Kandy and it’s in only half an hour walking distance from the car park. Even more condusing: The “World’s End” at Deanston is not at all “mini”. It is simply great. What’s more mini here, is this: The cliff is not as high as at Horton Plains. However, the view is much wider, it’s a 270 degree panorama at Mini World’s End. In this respect, Denaston’s “Mini World’s End” is even bigger than Horton Plain’s “Big World’s End”. The road distance from Kandy is about 60 km, this means, it’s 160 km from Colombo. Starting in Kandy, you have to take the A 26 “highway”to Mahiyangana via Tedeniya. At the highest point of the mountain road, in the village of Hunnasgiriya, you have to turn left, taking the side road to Corbett’s Gap and Meemure. Only the first 10 kilometres of this side road are in a good condition. You have good luck, as Deanston is in only 8 kilometres dsitance from Hunnasgiriya. All in all, it’s very easy to visit it on the way from Kandy to Mahiyangana town or toMaduru Oya National Park or to the East Coast. Thie hours more will be enough for this highly recommendable detour. And what’s best: Not many foreign tourists know this place, as most guidebooks don’t mention this wonderful place. It’s not as crowded as Big World’s End. Probably, you will meet nobody else or some locals at Mini World’s End. Our Lanke Excursions Holidays Team can arrange accommodation for you in this area, too, in the villagers of Meemure or - permission of the Forest Department provided - on a camp side close to Deanston. The camp is situated at the other side of the road. It’s also a place with amazing views. A waterfall is close-by, at the trail to Dothalugala Peak.